A lot happened since my last post in July. On 4 September, my new book “In Fading Light. Traces of Jewish Life in the East of Europe” was released. Since then, the book was kindly recepted by the media. And there was more: On 2 September, I was awarded with a “Key to the City” in Lviv. Bookstore and gallery Böttger exhibits a selection of my photos in Bonn and there are plans for a bigger exhibition in Augsburg. 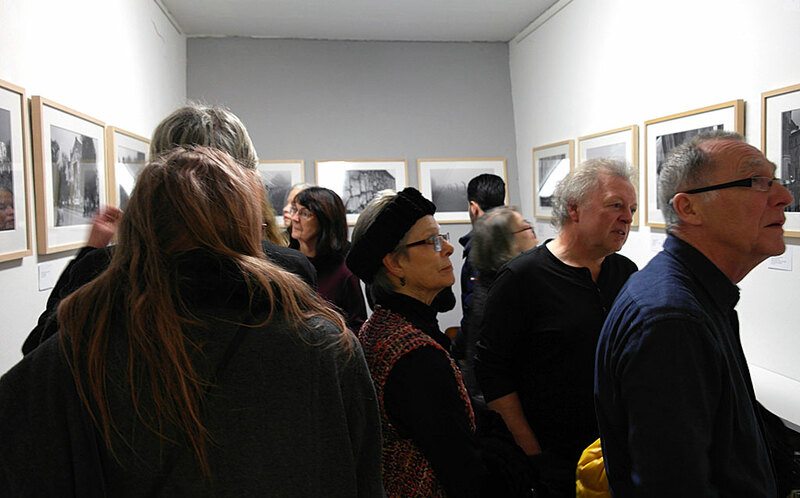 Olena Petrenko’s students of Bochum University – Nina, Judith, Patrik, Sebastian, Bea and Thorben – organised a wonderful exhibition opening with a selection of my photos at Kunsthallen Rottstraße 5 in Bochum last night. Thank you all for keeping the memory of Jewish Eastern Europe alive! 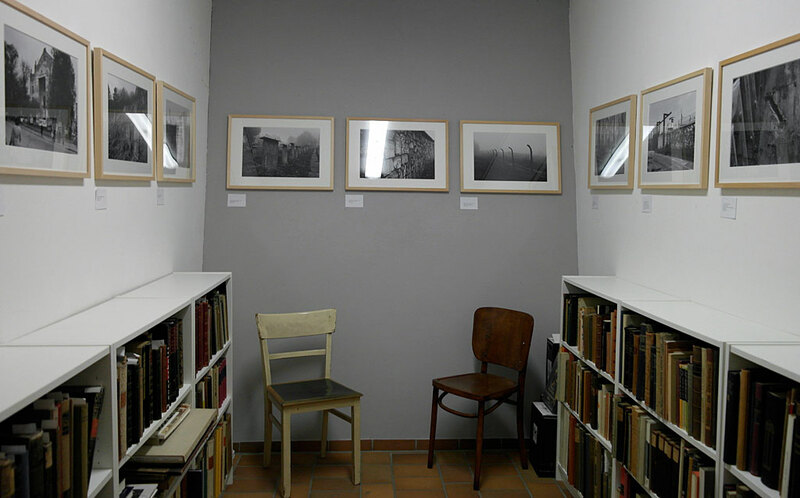 Since May 7, Stillpoint Spaces in Berlin’s district Neukölln hosts an exhibition of my analogue black and white photos. They document Jewish heritage sites in Ukraine, Moldova, Romania and Poland. The exhibition will be accessible until end of July. If you are around, come in! So far, I exclusively exhibited black and white photos. For the first time, the show in Auferstehungskirche in Berlin’s district Friedrichshain assembles some of my colour photos. Places do not only have a past, they also have a present. Colour photography may express this better. My first photo exhibitions about the Jewish heritage in Eastern Europe consisted of black and white images. To me black and white is connected to memory and commemoration – maybe because the photos of my childhood are in black and white, but also because most of the historical material preserved is in black and white. My interest in colour photography rose when I understood that heritage sites not only have a past, but also have a present. Synagogues are part of present urban space, a trace of a mezuzah is still visible, farmers let their animals graze in old cemeteries. But also absence is part of the present: cemeteries became markets, whole towns vanished. Having a good part of work already done, it’s a good moment to reflect some of the topics of the new exhibition, which will be shown by the end of January next year for the first time. 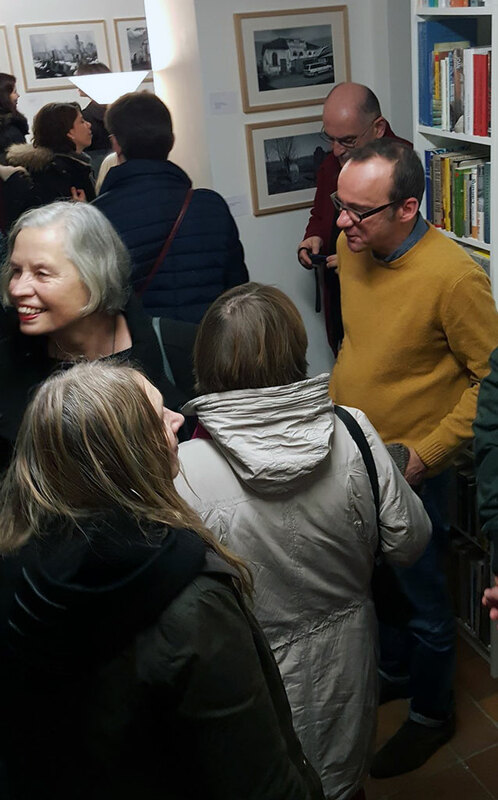 On 18 February ‘A Story of Destruction and Rescue’, an exhibition documenting the Holocaust in the eastern Galician towns of Drohobych and Boryslav was opened in Cologne. The exhibition was created by an international team from Poland, Israel, Ukraine and Germany. It was already on display in several locations in Poland and Ukraine and will be shown in more places in Israel and Ukraine this summer. The Cologne exhibition will remain open to the public until 31 March. Today my photo exhibition consisting of black and white pictures from Jewish heritage sites in Ukraine, Poland and Romania opened in the Böttger bookstore and gallery in Bonn. It covers works from summer 2012 to 2015. I was glad because of the many visitors, nice conversations and positiv feedback. 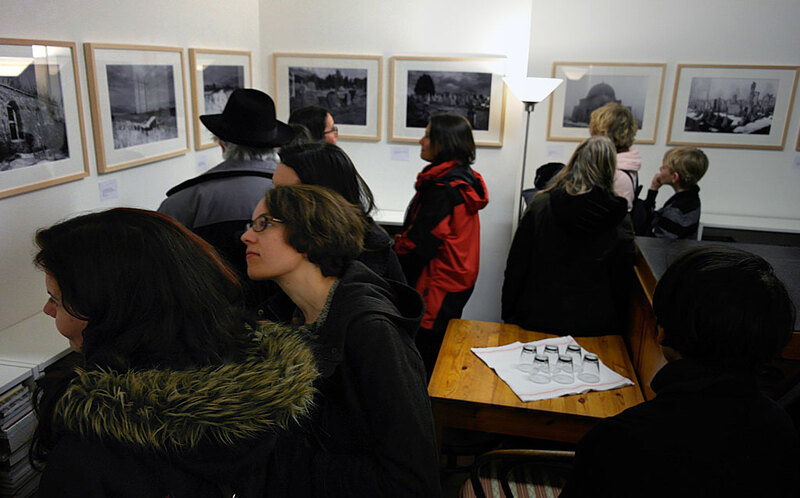 My photo exhibition “Searching for Traces” was opened last night in “platform sarai” Gallery in Frankfurt. It can be visited until November 2. Exhibition opening in Frankfurt – the mamaliga is ready! On September 17 my photo exhibition “Searching For Traces – Jewish Heritage in Western Ukraine” was opened in the hall of the Regional Association of the Rhineland in Cologne. The exhibition consists of a selection of my black and white images from Galicia, Podolia and Bukovina. Since October 2012, I repeatedly traveled in Ukraine – with me my old analog camera. This project has now come to a first climax and the future will show whether this is an end or a beginning.